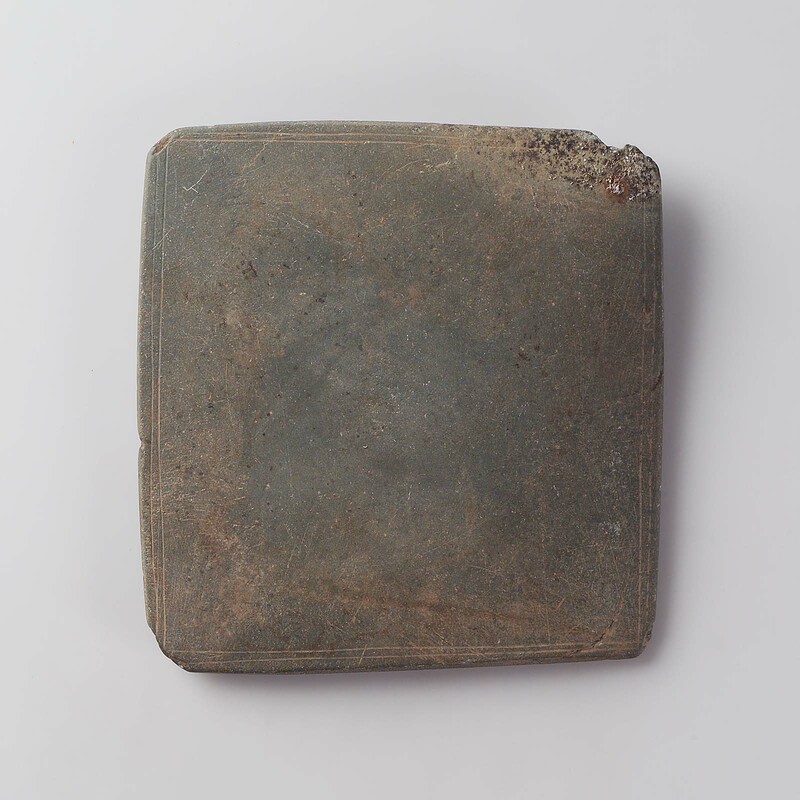 Rectangular palette of medium-gray finely-grained stone with 2 parallel incised lines forming a border around the top surface. There is wear on both sides. One corner is broken. The surface is uneven and mottled black, perhaps caused by environmental factors. There is a small reddish spot. From Wadi Alaqi (ASN111/75/1).1911. Excavated by Harvard University–Boston Museum of Fine Arts Expedition for the Archaeological Survey of Nubia; assigned to the MFA in the division of finds by the Egyptian government.